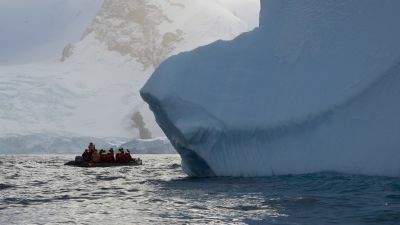 The Polar Regions throw up all kinds of challenges for photographers, but with a bit of know-how it is possible to capture majestic icebergs and cute penguins in all their glory. Expedition cruising company Aurora Expeditions have released a free Polar Photography Handbook written by expert photographers on how to achieve the best possible shots whilst exploring the Polar Regions. Tips cover how to shoot incredible landscapes and spectacular wildlife, despite having to adapt constantly to changing weather, unexpected wildlife behaviour and the battle with extreme temperatures and their hampering effect on photography equipment. The guide covers the basics, such as aperture, burst rate and DSLR and understanding how these facilities help achieve the perfect picture, to advice on composition and framing and generally how to capture that once in a lifetime perfect shot in such extreme conditions. Below are tips from polar photography experts travelling with Aurora Expeditions’ 2017/18 photography voyages to Antarctica and the Arctic. Brighten for snowy, icy scenes: “Dial up your camera’s ‘Exposure Compensation’ otherwise photos with a lot of white snow or ice end up dull and grey. Don’t go too far though or you’ll overexpose the shot, ” says – award-winning Australian Geographic photographer Chris Bray. Keep your hands warm: “This might seem hard to avoid in Polar Regions, but wearing thin gloves under your wetsuit will help to prevent your hands from getting too stiff to work the camera settings,” says Scott Portelli on underwater photography. Last year Scott was the Australian national winner at the Sony World Photography Awards and Wildlife Photographer of the Year by Natural History Museum. Photograph wildlife from a low vantage point: “Images taken at the same eye height as your subject will create a more neutral looking image. Lowering your profile will also allow the wildlife to relax and carry on around you,” says widely-travelled photographer Michael Baynes. Combat condensation when returning to the ship: “Leave your camera in its bag to allow it to slowly warm up and use a damp cloth to wipe salt water from your equipment,” says landscape photographer Martyn Lucas. Top picture: Photographer with king penguins on South Georgia, by Michael Baynes, Aurora Expeditions. For more information on Aurora Expeditions’ Photography Voyages: 1300 061 490, info@auroraexpeditions.com.au or auroraexpeditions.com.au.